With 60 endings ranging from “I don’t know what happened!” to “I do,” don’t be surprised if art imitates life and you throw this book across the room… only to pick it up and try again. One more time. Because, unlike real life, when you don’t like the outcome, you can go back to a pivotal moment and explore the path not taken, or even start over at the beginning to see if you can find one of two “happy” endings. CHEATS & SHEETS: Need a helping hand keeping your choices straight and finding those Happily Ever Afters? No problem! Just sign up for the Doorflower Newsletter to get your printable Heart-A-Track to chart where you’ve been and where you’re going. Want to skip the trials and head straight to the fibrillations? 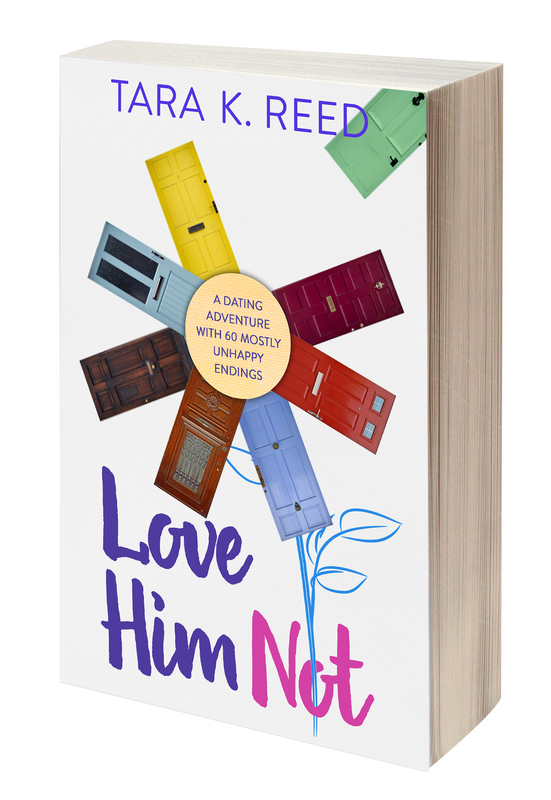 Send a link to your Amazon review to tara[at]Doorflower.com to receive the LOVE HIM NOT “Happy” Endings Map!